Law Office of David M. Goldman PLLC represents individuals and families in Jacksonville and Florida with their Florida Asset Protection needs. Our Florida Asset Protection Attorneys and Florida Asset Protection Lawyers work with high net worth individuals and families. Establishing Nevis LLC adds an additional layer to one’s asset protection. The Island of Nevis has similar LLC laws to Florida. Both permit a single-member limited liability company, and use a charging lien as a creditor’s only remedy to pursue an individual’s ownership interest in the LLC. The members and managers of a Nevis LLC are private and there are no negative tax consequences when you transfer assets to a Nevis LLC. A judgment in the United States has to be re-litigated in Nevis to have the court issue charging order. To date it appears that no Nevis court has relied upon a judgment from the United States. To achieve the maximum protection with a Nevis LLC you should appoint a manager or successor manager who is outside of the United States. The manager can be an individual or a company. No court in the United States has jurisdiction over the foreign manager without substantial connections to the jurisdiction. It is important that the operating agreement provide that a member cannot remove the manager. This requires that you trust a foreign manager. Often a friend or relative can serve as a manager. If you do not have a friend or relative that lives outside of the United States you can use an offshore company that provides management and/or trust services. The use of an offshore manager is not required but this increases the level of protection. A single member Nevis LLC can offer more protection than a multiple member Florida LLC. Often clients use Nevis LLC’s to open accounts in countries where banking laws are not favorable for United States citizens. The Nevis LLC will not have any adverse tax consequences for the IRS nor the country of Nevis as long as no business is conducted in Nevis. You can still file your taxes as a disregarded entity by using IRS form 8832. 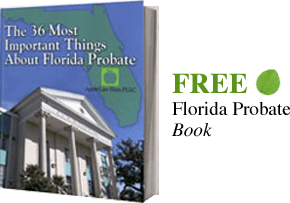 If you think Asset Protection may be appropriate or you feel that there is a potential risk you would like to limit, CONTACT our Florida Asset Protection Lawyers by email or call us at 904-685-1200 to discuss your situation today. Can Your Liability Increase with Asset Protection?